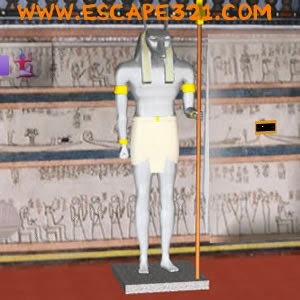 Secret of The Pharaoh's Tomb 2 is point and click adventure + escape game, made by Ainars, sponsored by EscapeFan.com. Continue your adventure in to the tunnels of pharaoh's tomb, obtain various ancient artifacts and use them to progress in the game. Find ankh key to unlock tunnel to next part of pharaoh's tomb anf finish this game. Good Luck!